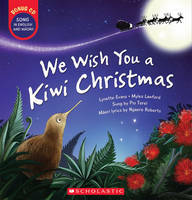 We Wish You a Kiwi Christmas is a delightfully “kiwi” version of the traditional song “We Wish You a Merry Christmas”, with gorgeous illustrations. Published by Scholastic in time for Christmas 2014, there is no need to save this one for under the Christmas tree, the accompanying CD makes this great fun to read and sing in the lead up to Christmas Day. The story runs through once in English, then repeats with a Māori translation, with slightly different illustrations and a few more verses to a page, so there is room to discuss new aspects of the story, even if you don’t read/speak Māori. As an added advantage there is also a small glossary of English-Māori words at the back of the book, to aid in translation for non-speakers. My only issue is that, as a non-Māori speaker, I found the phrasing quite difficult to get my tongue around. As with the English, they have kept the spirit of the song and story more than they have the metre of the song, so some of the pronunciation is quite fast, and some of the sentences are a bit crammed. However, if, like me, you don’t speak Māori, don’t worry too much, a few plays of the very clear CD and you’ll be singing along at the top of your lungs in no time. Most of us know the tune, so although the CD isn’t strictly necessary, it does help with getting the phrasing right. However, it’s a wonderful addition just by itself. Pio Terei has a distinctive voice which lends itself perfectly to this song. He’s backed up with children singing, and bird song is brought into the mix throughout. Wonderful illustrations, amusing text, and a lovely CD… this book definitely puts the merry in a Kiwi Christmas. Penny Scown: One of the books that probably had the most impact on me was Rocco, which we published in 1990. It was the best manuscript that had ever crossed my desk at the time – and it launched Sherryl Jordan’s stellar international writing career. Rocco was also picked up in hardback by Scholastic US, and we are about to publish it as an e-book, 23 years later … In addition, we are still publishing Sherryl Jordan, with two titles having recently come out – Ransomwood and The Freedom Merchants. Lynette Evans: Being the new kid on the block here at Scholastic, many of my favourites are works in progress. However, She’ll Be Coming Round the Mountain (The Topp Twins/Jenny Cooper) is a standout for me because it was a quintessential toe-tapping team effort involving collaboration between publishing team, musicians, illustrator, designer, printer and international affiliates from go to woah. It was a delightful assault on the senses, both aurally and visually, from soundtrack through to concept roughs and to final art. It bucked and reared at times… but the final product is a pick-me-up magnet for kids of all ages. Frith Hughes: For me it’s seeing the ongoing success of books – the classics that are 20-odd years old and still selling strongly to a whole new generation of NZ children. 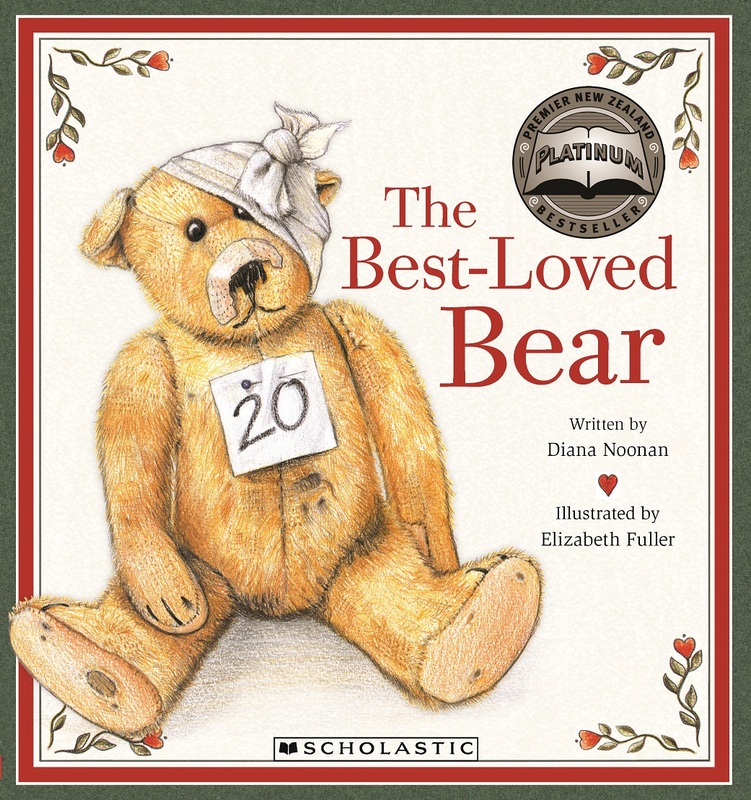 I’ve loved being involved in the redesigns of The Best-Loved Bear (Diana Noonan/Elizabeth Fuller) and The Three Little Pigs (Gavin Bishop) as well as celebrating the 20th birthday of The Little Yellow Digger (Betty & Alan Gilderdale) last year – all three are picture books I read as a kid!